Shibuya is defined as the center of Tokyo’s youth culture, as the town is spread around one of the busiest train terminal stations in Tokyo, attracting various generations and people of many occupations. 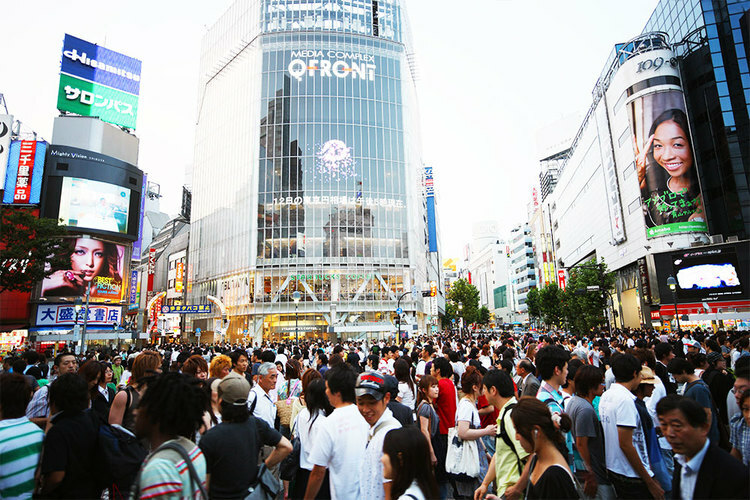 Shibuya’s Scramble Crossing is a prime spot for people-watching, something one cannot fail to miss. 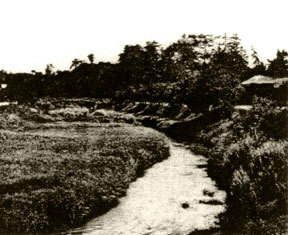 The Shibuya Clan is said to have resided here from the 11th century. The Shibuya Clan established their castle around Konnoh Hachimangu Shrine, located on the eastern side of Shibuya Station, and worshipped at the shrine as their family guardian. 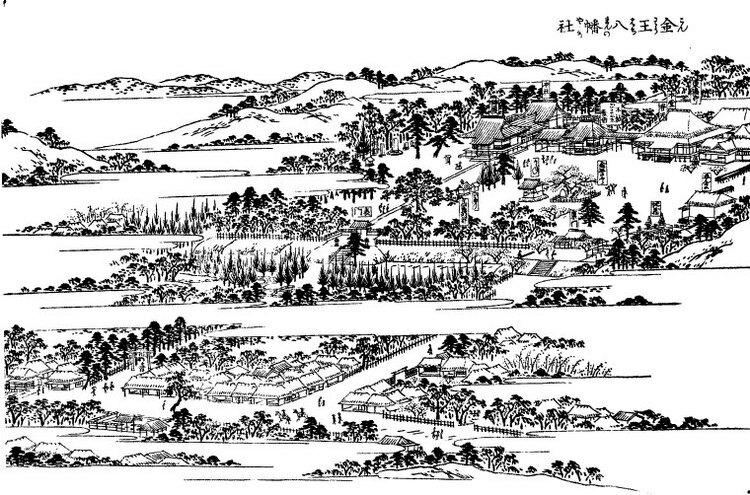 Among other possible theories, the establishment of the Shrine is considered to be the birth of Shibuya, and the fortress stone remains of the Shibuya Castle have been preserved on the grounds of the Shrine. The name “Shibuya” means valley. Actually, the word “Shibuya” is comprised of two Japanese words: Shibu“ and “Ya”, the latter meaning valley. The former has a range of meaning including acerbic, austere, stingy, and refined. 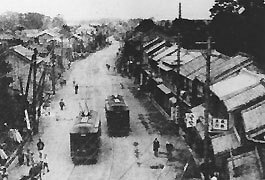 It is said that Emperor Horikawa, the 73rd emperor of Japan, in the 11th century awarded the name of Shibuya to the clan as a reward for repelling intruders at the Imperial Palace. Only after the start of operations of the JR Yamanote Line in 1885, did Shibuya begin to emerge in Tokyo’s history, eventually becoming a major commercial and entertainment center. The Tokyu Line opened in 1932, making Shibuya a key terminal station between Tokyo and Yokohama. Since the opening of the Tokyu Department Store adjacent to the Station building by the Tokyu Railway Group in 1934, followed by the developments of other retail complexes, Shibuya has become the commercial center for those in south-western Tokyo. 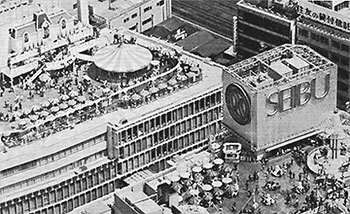 Following the opening of the Seibu Department Store in 1968, the retail complexes including PARCO run by the Seibu Railway Group, attracted youths from all over the Tokyo. Since then, the competition between the Tokyu and Seibu Groups contributed to the growing popularity of Shibuya, particularly among young people.